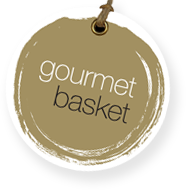 Is it safe to use my credit card on Gourmet Basket? Our website employs the latest version of Secure Socket Layer Technology (SSL) to encrypt your information and help make sure that only you and Gourmet Basket see it. Your credit card information is not fully visible to anyone once your order has been placed or when you store your credit card information in your account. If you are not comfortable using your credit card you can use PayPal as a safe payment option for online transactions.